First, the good news: The Red Line has made the DOT’s budget proposal that will go before congress this year. If all goes well, construction could start next year on the first all-electric Bus Rapid Transit program in the country. This is big. College Avenue was the site of the last streetcar run in 1953. Putting the Red Line there is a symbol that after 60+ years, Indianapolis is finally going to include transit as an important part of the future of development. Meridian Kessler along College Avenue was designed from the start to be a streetcar suburb. Hence all of the historic neighborhood commercial districts that dot the corners every few blocks. These are often single-use or multi-use buildings that front the sidewalks, instead of sitting behind parking lots. Meridian is D-2. Central and Washington and D-4. And much of College Avenue is D-5. The labels and lines are shown in blue in the snapshot. Keystone Avenue is often mentioned as an alternative to College Avenue. After all, there’s plenty of space for dedicated lanes on a 6-lane road. Unfortnately, it would likely cost much more to turn Keystone into a useful transit corridor. First, it’s almost all single use commercial, with residential neighborhoods and apartments thrown in every now and then. Second, it’s littered with every hurdle that transit would have to overcome: parking lots, curb cuts, curb-adjacent sidewalks, utility poles in the sidewalks, and heavy traffic counts, to name just a few. Eventually, perhaps Keystone could also become part of the rapid transit system with the theoretical Orange Line, but it would take much more public investment. Not only is College good for transit, but so are the side streets, which are also dotted with doubles and houses on small lots. Most of them have good sidewalks. People from a block or two away can easily walk there to hop on the bus. College has parallel alleys with rear garages, instead of individual driveways along most of its length. This eliminates curb cuts, helping enhance its walkability. I’m pleased to see the city have the chance to move forward with a serious dedicated transit line. One of the benefits to Indianapolis waiting until now is that instead of building commuter lines along low density neighborhoods and subdivisions, as was the fashion recently: we’ve learned that true investment will follow along the places that were built for transit in the first place. Let’s build upon this for the future of Indianapolis. Carmel rebuilt Keystone Ave to 96th St, I think Indy should extend a rebuilt Keystone Ave to Fall Creek Pkwy for the Red Line. Then follow the parkway to College Ave South. I’m trying to envision exactly what you are proposing here. So you would have the Red Line follow Keystone Ave from where to where? Keystone already intersects Fall Creek Pkwy. If the Red Line is on Keystone, how exactly do pedestrians walk to hop on the Red Line safely? And where exactly are the Red Line riders coming from? There is hardly any residential density along Keystone Ave that has safe walking access that is under 1 mile from Keystone. The few neighborhoods that are along Keystone lack sidewalks and they lack real urban density. I used to live in the neighborhood just west of Keystone around 57th St. The College Ave corridor was built around a public transit line very similar to the Red Line. It makes so much sense to start there. Making a street even bigger to support more autos and make space for transit is counterintuitive and would be worse for pedestrians. The issue with Keystone is that there are way to many barriers for pedestrians and cyclists, population density is lower than on College, and there isn’t really any major destination points on Keystone. It’s lined with big box stores, parking lots, and empty car dealerships. that’s why Keystone was eliminated as a route alternative incredibly early on in the process years ago. College Avenue is the best route for the Red Line north of 38th because the neighborhoods lining College were built around transit when we had the streetcar system with little mixed-use nodes on a street grid. Using Keystone for the Red Line would bypass Indy’s most active neighborhoods and skip past the areas in need of transit the most, particularly around 38th and Meridian. I have that picture; that is my great-grandfather Samuel Smith who piloted that car. I also have china bowls that were used on that car. It’s amazing how similar the arguments against substantial transit investment are in various cities: Nashville BRT, Cincinnati Streetcar, and now Indy. Hyperbolic scare tactics from selfish groups and individuals that view the status quo as acceptable. My theory from traveling to many European cities vs many US cities is that we are so used to traveling via a car only and our build environment is so entirely built around the car, that we just can’t envision any other way. I was like this myself until I visited a very safe, timely and clean subway and bus system in France. It was amazing to be able to easily hop on a bus to get somewhere or enter the subway to go even further. When I got to where I was going I was confident that I’d be safe and that I could fully walk to my destination. In many mid-sized US cities, once you get out of some select areas, it feels like you were abandoned on the side of a highway. It’s hostile and not a good experience. So it’s going to be a battle while we work to incrementally change our built environment to be lovely and safe productive places for people walking. We also need more ways of simply showing people used to driving how pleasant it can be to not require a car to get to so many destinations. Until then, we humans are horrible at envisioning what’s different from what we’re used to. Italy has the highest car ownership rates in Europe and they also have great transit. To me it’s not even as much about getting people out of their cars, it’s simply about providing equitable transportation options. People have become so attached to their cars (and free parking) that they view any other options as an attack on freedom. Yes I agree with that too. It just takes time to change the mindset of so many people used to only one way of doing things. It’s a worthy cause and one I wholeheartedly support. It’s a primary way to get our cities to stop sprawling and to begin building infill that is beautiful, functional and very desirable. What more can we do to convince people that the Red Line will help the neighborhoods from Broad Ripple to downtown? So far, it seems like the opposition is largely stumbling and cannot come up with anything better than “it should be on Keystone.” As repeated articles on this site make plain, Keystone would be a very poor choice for the route. I personally think that the side that’s supportive of the Red Line and the side that’s vocally against it need to meet together and talk about what our differences are. It needs to remain a civil conversation which I believe the side that supports the Red Line can maintain since our position is a very strong one. Does College Ave have space for reasonable sized parking (park & ride) lots at most or all of the transit stops, so that people can park their car and ride downtown? What about commercial and multi family development at BRT stops, if much of it is zoned residential? Lack of space for transit oriented things is a bit of an oxymoron. Transit is the answer to space being in low supply. Not sure what the current Red Line transit plan is the answer to. Traffic on Meridian St going downtown and back? Traffic on the north side of I465 going somewhere? Getting people to jobs? Convincing Millennials that Indy cares about them & wants to attract more of them? Helping people in Indy who don’t own, or can’t afford a car? And if it is an answer to some of these questions, will it really work to solve some or all of these problems? Building an urban transportation system not designed around the car. Our auto dominated transportation planning has left Indianapolis sprawling w/ little money to pay for the vast lane miles we pave. We can bring much higher value to an area if every single person who arrives does not need to bring a 2 ton automobile with them and leave it in a large space for the duration of their stay. That and all of the other negative externalities that go along with car travel – pollution, traffic accidents, pedestrian danger, cost….. Connecting 2 productive areas (downtown to broad ripple) is a good start so that people can access both areas not needing a car. As our downtown grows and land becomes more scarce we do not need to pour cool water on it by having to subsidize massive amounts of space for dead car storage. This played no small role in it’s original demise. We have seen the auto strategy play out and fail, the neighorhoods that carry the most value in this city are the pre-war walkable/ transit accessed places. We need to build on this instead of hollowing out our city farther to make room for more commuters from Greenwood. stop using logic and facts paul! Transit is not the reason Millennials aren’t attracted to Indiana or Indianapolis. What happens when Millennials grow up, get married and want to start a family? They’ll want to live in a neighborhood with quality homes that is walkable and which has stable home values, like Meridian Kessler is now, but won’t be if dense apartment buildings replace homes and taxes make living here undesirable to support a BRT line that is unsustainable. I think you’re creating a false choice narrative here. Putting a few apartment buildings in (Some already even exist! Oh my!) Will not significantly alter MK. There are plenty of places to put these near the proposed Redline and none of them would involve knocking down existing high quality homes. Why is it so hard for apartments and houses to be within sight lines of each other? The separation of the 2 you see in most of the city is due to Euclidian zoning. All prewar areas INCLUDING MK have apartment buildings existing among houses. To claim this will ruin an area is a conclusion unsupported by evidence. Which is exactly why I bought a home in Meridian Kessler. And I cannot wait for the Red Line. Because “walkable” =\= driving my car everywhere I go. What happens when that junker a low income to moderate income family shares breaks down and they need to take a reliable bus? No one is completely rebuilding several neighborhoods because of a moderately-sized transit project. I suggest you look at what’s happened along Division Ave in Grand Rapids, MI, where they’ve put in BRT. You haven’t seen what is proposed, have you? Fifty feet in height, which will overshadow adjacent homes. Unattractive, unimaginative design, cheaply built, with mostly studios and one-bedroom, to appeal to a transient population. No one would object to a building that is similar to those apartment buildings already here. Ideally, it should be condos, because this area is mostly homeowner-occupied, the most desirable residential model. @Natacha: I agree that we want as beautiful of buildings with high quality as possible, but that comes incrementally. Also, instead of blocking the apartment project completely, why don’t you work with the city and the developer to work out compromises to increase the quality. Secondly, homeownership is not the “the most desirable residential model.” Sorry to break your idealistic bubble, but it just isn’t. Only in America might this be the thought patter, but most of the rest of the world happily rents. I will blow your mind by this, but I had a very nice house in Broad Ripple for 9 years and decided to sell it and move downtown Indy last year where I am renting. I couldn’t be happier. When something breaks, I call somebody. I don’t have yard work (even though I quite enjoy it) or other responsibilities. I am much more free to enjoy my friends and family instead of having to constantly work on my house. Lastly, an area will be so much stronger if you have all types of people and living situations. You do not just want a monoculture of homeowners, evidenced by the latest recession mostly caused by the homeownership industry. You always want diversity which brings the most vibrancy and resiliency. The old cliché of never put all of your eggs in one basket is there for a reason. To Jim’s point, here is a good article on German rates of renting vs owning. That makes little sense. Transit is supposed to serve those who aren’t or can’t or don’t want to drive in urban areas. Park and rides are geared more for the suburbs where you can’t reasonably walk to a transit stop. 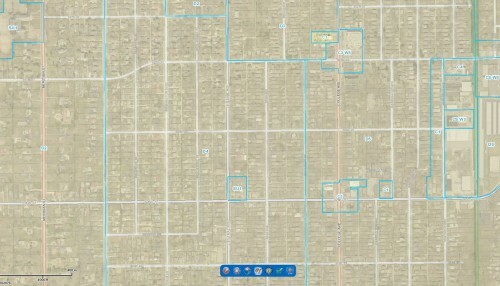 Meridian Kessler is historically a mostly homeowner-occupied residential neighborhood. It has quality-built older homes, is walkable, it has quality schools and churches that people walk to. It is one of the crown jewels of Indianapolis, and should be preserved because it has what other communities strive for, but don’t have, including interesting small businesses and restaurants. It was built to be a family-oriented quality neighborhood, not for park & ride, cheaply-built, dense apartment buildings with mostly studio and 1-bedroom apartments that appeal to transients. Red Line, park and ride and dense apartment buildings will destroy one of the last neighborhoods in Indianapolis that has older homes that has not become blighted. None of the stations in Phase 1 of the Red Line are Park & Ride. Nobody is talking about tearing down historic homes or other buildings in MK. They happily coexist in other cities around the nation including a large one to our northwest, Chicago. Density will grow along a transit line, as it should (that’s the whole point…density equals walkability). This is along a main street, not in the many other smaller streets to either side of College Ave. You are most definitely blowing this out of proportion. It’s a positive, incremental change that will cut our reliance on cars for everything. It’s a balancing out. Nobody is saying to get rid of all driving. Cars, trains, bikes, walking all peacefully coexist in countless European cities while maintaining far more significant “crown jewels” thank Meridian Kessler. It looks like Kevin has been editing me again. This is intellectually dishonest and it needs to stop. The inconvenient truth is out there–check out IndyGo’s own publications. Jim: look at IndyGo’s TOD Library boards and the illustration for 54th & College–it shows the shops on the west side–i.e., Fat Dan’s Yogu Latte, Sam’s Gyros and Twenty Tap, torn down and replaced by a an apartment building with little retail shops below. See also the plans for 86th and 96th & College. Yes, they do plan on destroying buildings and homes along College Avenue. Given that I pay for the domain and server space, I reserve the right to take down comments that are over-the-top and unhinged. Feel free to keep commenting on your alternative website, which happens to not include a comments section at all. I didn’t know IndyGo has turned into a developmental arm of the city. Oh wait they haven’t. This won’t happen and you need to get out your tinfoil hat to believe that this represents some sort of hidden master plan. Natacha, I highly doubt that you even live in the area. If you did, you would have know that Yogulatte has been gone for a while. Indygo isn’t tearing down the building which houses Fat Dan’s. You’d have to blame the owner of the building for selling out for more money. Except for the fact that IndyGo doesn’t own these buildings. They don’t have some magic wand that will magically generate the multi-millions of dollars required to legally buy them and then tear them down. If, and it’s a big if, someone does eventually tear them down, it’ll mean that the area is seriously booming and more people want to live there. That’s a long ways off. The truth is that Kastner deletes any comment with which he disagrees. Actually, I may print out this comment and frame it. And it is ONLY for the people who live there. All others should stay OUT. AmIRight, Natacha? AmIRight? Have you even read the article above? MK exists largely thanks to transit, why not restore the neighborhood to its original character and improve access to those interesting small businesses and restaurants? Where were all the opponents to change in MK when John Eaton barged in and built his “fantastically representative” homes in the neighborhood that “maintain the character” of MK?? Take a realistic look at College Avenue. It is a tree-lined, mostly residential street with a few corners that have small businesses. 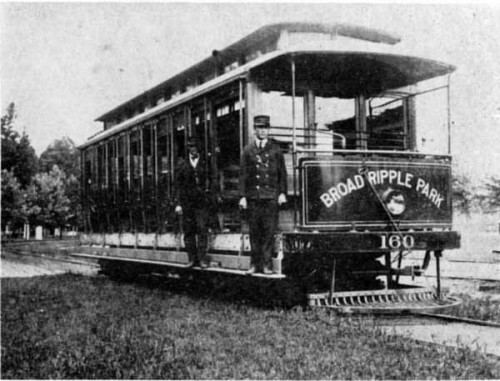 The interurban ran along multiple other streets on the north side, including Pennsylvania Street. There are other corners along Illinois and Pennsylvania that have little shops, too. The interurban is a lame argument for destroying College Avenue. That system failed due to lack of demand. The purpose of a BRT is to connect people with jobs, shopping, health care and college classes. There are none of these along College, but multiple ones along Keystone. Hundreds, if not thousands, of people work and can shop at Target, Wal-Mart, Meijer, Woodfield at the Crossing, Keystone at the Crossing, the Fashion Mall, Macy’s, the Glendale Town Mall and the numerous other grocery stores, pharmacies and other businesses along there. Keystone also has multiple apartment complexes, including one at 66th Street with 454 units, some of which are 3-bedroom. Keystone also connects with I-465 on the north and south sides, and could be used to access the fairgrounds, if the bus turned at Fall Creek. It is the only north-south route that makes any sense. Also, there are 2 health clinics at Glendale: I.U. Health and Eskenazi Health. If there was substantial population density along College, then the College Avenue bus would logically be busy all day long, but it’s mostly empty, except at rush hour. Running a bus every 10 minutes during the day and every 15 minutes at night won’t create demand because there simply isn’t any. Nevertheless, taxpayers are expected to pay the operating costs of a system that is destined to fail. Putting a median down College Avenue will cause massive traffic problems and diversion of traffic onto side streets. Using Red Line as an excuse to build tall apartment buildings along College Avenue will destroy the historical character of this neighborhood. This is a hot mess that needs to get stopped right now. Opposition is growing as people are finding out what IndyGo is trying to do. Wow, here we have a logical and well reasoned argument against the red line on College and it’s on this urbanization-of-everything loving website? Watch out, Natacha, these johnny-come-latelys to the urbanization fad (that has already faded out in other cities) will not like your truthful analysis of the future tax payer supported doomed to fail red line bus fun. To paraphrase the indygobots’ statements at the Nora Library Phase 2 red line meeting: “this isn’t designed to make money, it’s designed to move people around.” It’s a tax money wasting pipe dream. Nothing could make me prouder than to be a johnny-come-lately if the contrast is the Keep Indianapolis Mediocre brigade. If the urbanization fad is fading, why are places like Muncie now jumping the bandwagon (http://www.ibj.com/articles/57209-muncie-seeking-developer-for-48m-riverfront-project)? The fact is, it was Baby Boomers alone who came of age during the demise of urban America. It was already kaputt when Gen X and Millennials came into earth. They don’t have the same negative associations, since virtually all of them grew up in suburbs where it was fundamentally impossible to get anywhere except in a car. Car ownership has declined slightly in recent years, and more teenagers are waiting until well past their sixteenth birthday to get their licenses. What if the suburbs prove to be the mid-century fad? Right. Urbanization has been happening for millenia. The only out-of-character blip in this arc of history is indeed suburbinization. If urbanization is a fad, then humans are also a fad, given that the earth is billions of years old, and we’ve been around for a tiny fraction of that. The truth is, Indiana and Indianapolis are mediocre, and it has nothing to do with lack of a BRT or comprehensive transportation system, but things like the fact that RFRA is an issue, including spending our tax dollars on a futile appeal, entire counties that have only one viable political party, insider deals that take taxpayer money with no real input (e.g., Blue Indy), the mentality that high fence hunting is OK, fighting the EPA on emissions regulations, and the list goes on. There are no beaches, no mountains, not much interesting topography. Indiana is not drastically different from Kentucky. So you’re basically admitting that Indiana should aspire to nothing better? That we should send off 90% of our college graduates to places that have more ambition? At least you’re playing your hand. With that attitude, the state and city have no prospect whatsoever of retaining ambitious or talented people–i.e., the people who create jobs and have high earning potential. And, with an almost completely blue-collar population (a la West Virginia, with considerably scenic beauty), you can rest assured that your Indiana home will be worth less in 20 years than it is today, since no one with the money to buy it is remaining in the city or state. If Indy is so permanently steeped in mediocrity, it’s amazing that it consistently rates above average in college education attainment–helping to compensate for the train wreck that is most of the rest of Indiana. Is there a Talking Points Memo that people get this from? You hear the same fear-mongering talking points in cities across the country … ugly high-rises, apartments, crime, transients, traffic, congestion, no parking, lions and tigers and bears, Oh MY! If you are going to make such fear inciting claims, please back it up with studies, logic, or proof or some kind. Nobody likes a robot repeating the same old, tired, fear mongering memes that have no basis in reality. We’re over it. You’ve made some thoughtful observations, but if you ride mass transit in other comparable cities like Minneapolis and Portland, they more often than not have a major route going through an area that mirrors College Avenue. Why? Because people in those neighborhoods can easily walk to the transit stations (an advertised amenity that many value), reducing the need for car travel, and because their neighborhoods feature a mix of retail and restaurants like Broad Ripple and MK that people from other parts of town want to travel to. Been to Broad Ripple on a Saturday night lately? I’m not sure what your point is, but it seems like having drunk frat bros taking a bus that runs late at night would be preferable to those same drunk frat bros driving themselves home after hitting the BRip bars. This point exactly is what I wish Mothers Against Drunk Driving would get behind. This should be the pillar of their platform. Broad Ripple is no longer the hot spot it once was. That is a fact. Ask any bar or restaurant owner. I don’t know if they all went to Mass Ave or Fountain Square, but the crowd is older and fewer in number. What’s your point Natacha? Does the fact that Broad Ripple is losing out on entertainments seekers to Mass Ave and FS somehow prove anything you have said here? You are right about that and I think the Redline will go a long way to helping it. There is actually a major study of the FACTS resulting in why College Avenue and why Redline is first priority prepared by Greenstreet, and Eden Collaborative, which is an affiliate of Reconnecting America, the only national non profit focused on transit oriented development. I have read the study but it appears not one of the remonstraters have read the study. Or, the remonstraters are forming opinions based on their gut feelings and ignore the facts. The bottom line is College Avenue presents the strongest likelihood of high ridership and success as well as the components necessary for a successful line where the necessary demographics stack up against the most successful lines in the US. The problem is that sometimes people dig themselves into the deepest hole of their gut opinion that when confronted with the facts that don’t support their gut feeling and emotional opinion they either ignore the facts or attack the consultants. I say read the study first and then be open to changing your mind based on truths. Experts know based on studies of transit lines all over the World what makes a successful transit line. The study says the Redline on College. Hello, what else do you want? they’ll need to dumb down the study into easy to read bullets with small words for the general populace to understand. Often gut feelings are better than studies prepared by consulting firms. @Ingo – I’ve got a gut feeling that College will work better, so I guess that’s settled. You haven’t cited one single fact, but instead you heap praise on those writing the study. Shouldn’t any starting point for rehauling and redesigning an entire city start with whether or not it is wanted? Wait, so now we are redesigning the entire city? Your hyperbole is not serving you well. Have you seen Indy ReZone? I have. Can you be more specific? Asking a troll for specifics? LOL, good one!! For the record, I am a MK homeowner (single family residence not on College. I am intrigued by the “potential” of the redline. Given my professional background, I have experience in and am concerned regarding the potential for unanticipated and underestimated construction and operational costs – in other words, are the numbers really good on all aspects of the proposal. They need to be refined. Having said that, we need to have civil discourse on this issue. Hysteria and ad hominem attacks on either side is just not productive. Natacha’s arguments are pretty good. Seems like Keystone is way preferable to College Ave. Funny that there have been tons of routes and plans for transit in Indy the past few years and none (or almost none) of them make sense from a financial, traffic, or connector point of view. If this is the best experts can come up with, think Natacha should be hired to put together a viable Red Line for Indy. I like how you guys are going around patting yourselves on the back for becoming armchair transportation planners. But seriously, your best argument is that the Red line isn’t worth it in general. The “Red line belongs on Keystone” argument is just a bad argument. I love how people who have probably never thought about transit a day in their life suddenly have great “gut instincts”. It is a complex subject no matter which side of the coin you fall and you do a disservice to everyone involved by making such poor arguments then crowning yourselves experts. I know I shouldn’t feed the troll. You are such a great person. The “bad” argument for Keystone is the simple fact that as far as a north-south route, that is where the shopping, jobs, health care and transportation needs are, whereas College Avenue isn’t. Keystone connects on the north and south to the Interstate. College Avenue does not. As to whether Red Line is “worth it”, look at the usage of the existing system and then ask yourself whether buses every 10 minutes will magically create ridership numbers that make this a good investment. This approach is neither bad or ignorant, but logical. Indianapolis has many needs far more deserving of tax money than Red Line. First of all, the 17(College) and the 18(Meridian) both have more ridership than the 28 (Keystone). Second of all, why is interstate connection an important part of transit? Third, Keystone doesn’t even have 1 residence on it from 56th down to Fall Creek Blvrd. 4th, Keystone has EXCESS capacity w/ several lanes and wide open parking lots – that is not a invitation for transit. College ave is congested with cars and many residences/business have few parking spaces so transit will bring patrons to these places and therefore increase the capacity of the College Ave corridor. There are plenty of examples where increased service means increased ridership – Cleveland BRT is one. The demand for transit is complex and when the service is bad people will seek out alternatives. This is not a controversially or unknown point. Great article. I cannot wait to see BRT on College in a few short years!!! It’s going to take a few years? Way too long. If they are really serious (no matter what the route) BRT needs to be completed in 2017! To find out if viable for rest of city. Yes, let’s spend $100 million tax dollars to build a bus line when the existing one is only busy during rush hour, and then see if this is a good idea. We already know this is not a good idea. If Indianapolis residents wanted bus transportation, they’d use the existing system. For the most part, they don’t, except to commute. The existing bus system and the proposed Bus RAPID Transit system are incomparable. Indianapolis residents don’t use the existing system because it’s bad (except for people who have no other option, but who cares about them?). Bus RAPID Transit allows for people to get from place to place in a comparable amount of time as a car trip. Time spent on the line haul is a key determinant of the modal choice of a commuter. Other than commuters, people don’t use the existing bus system because they don’t want to. If millions are going to be spent on public transportation, why not put in a system where people who DEPEND on public transportation live? That is not College Avenue, other than the south end. As the current system stands, yes, I acknowledge that people don’t want to use it. Doesn’t that then make the case for an improved system that people want to use like a rapid transit option? Less stops, more frequency, and an option for people who wish they could avoid driving as frequently as this city mandates currently would be a good idea. Part of the idea is to make alternative transportation options available. Not everyone wants to drive everywhere all the time, especially younger generations of current and potential Indianapolitans, a demographic that the city must cater to in order to remain sustainable, attractive, and prosperous. I still think the line from the airport to downtown is what should have been put into motion first, but putting the Red Line on College Ave allows for a larger potential ridership pool. Ridership matching may be a different story, but who knows, maybe you might like taking the Red Line downtown sometimes once it exists. Spatial mismatch of jobs to residential areas in Indy is far too haphazard as it stands. Catering solely to solving this problem on the first go around would not be feasible IMO. Even if the south end of College Ave is most dependent on the Red Line, why not allow those dependents to take it up north to MK/BR every now and then so they too can enjoy the amenities the area offers instead of rerouting to Keystone Ave (or anywhere else) where they are dumped into a parking lot/roadway wasteland? Would you take a bus that takes 2-3 times as long as driving, and one that you don’t know when it’s coming exactly? People don’t ride the existing bus because it’s terrible service that’s only slightly faster than walking. Would you take this bus either? But if a bus was at least as fast as driving in your own car AND you didn’t have to pay for parking when you get to your destination, and it’s predictable and frequent, why wouldn’t you take that bus? Along College Avenue, other than at rush hour, there aren’t many people going any place. Where would they go, anyway? There are no major grocery stores, pharmacies, health clinics, shopping destinations or anything else people who aren’t working or who work split shifts go to during the day time. That is not true for Keystone Avenue. No major groceries close?? Hmmmm with the Fresh Thyme that will be open when this opens I count 3 close to College……. Yet just yesterday you characterized M-K as being what people want because it has “schools and grocery stores they can walk to”, along with privacy and big yards. Which is it, Natacha? Are Fresh Market and Fresh Thyme not major enough grocery stores? They’re both national chains. What about Broad Ripple? I hear no one goes there after 5PM or on weekends……. Fresh Market and Fresh Thyme are boutique grocery stores, not the type that people who actually depend on public transportation can afford to shop at on a regular basis. People in MK can walk to Kroger in Broad Ripple. They used to be able to walk to Atlas, which was not the boutique grocery that Fresh Market is. Dear God woman, did you ever set foot in Atlas? Sid’s brilliant stroke was that he sold everything, so people came from all over town to get the one darned thing no one ever sold elsewhere. Then, he also sold toilet paper for three times the going market, because as long as you were there…. That’s the definition of a boutique market. Atlas, for historical reference, was a Mom & Pop grocery at the end of an era of Mon & Pop groceries, the prevalence of the chains, and the emergence of the mega-chains. It survived, and flushed as a boutique, and in the end, still couldn’t compete. For a bit more history, a kid who grew up on Washington Blvd. shopping there ended up as the head of fresh Market, remembering that store fondly, and opened the current Fresh Maket, a modern day boutique. Today, most are subsidiaries of the mega-stores, and in fact, the son to be opened store in Broard Ripple, is a subsidiary of Meijer. Time and again you refer to a history that didn’t exist and demand a future that’s a re-creation of a present that doesn’t exist. This should be the default response to everything Natacha posts. Really!? Transit is for connecting productive place A with productive place B that you couldn’t otherwise easily walk to and where it’s no longer simple to drive your own car to and park. That is what downtown Indy is – productive because of its mixed-use and what Broad Ripple and MK have been and are returning to. BRT is not about helping you hop on and off for every little stop along the way, although it will do some of that. It’s to get people to/from downtown and to/from BR and MK in an rapid, safe, clean and cost-effective way. It’s about keeping drunk drivers off of the roads which is something we should all be for. There are no other more productive places that are suitably dense enough in Indy to accommodate something like the Red Line. Keystone is not safe for people to walk to get the bus and is a run down car sewer. That would be a complete waste of money to put a transit line on and you know it. I think you’ve completely missed the point. Bus service isn’t just for people who depend on public transportation. By making that statement, you are hereby proving the point that our current bus service is substandard and thus, only used by those who have no better option. However, public transportation should not be viewed in that light. It should be a desirable option that people who “can afford to shop at [boutique grocery stores] on a regular basis” (your words, not mine) would choose over driving their personal vehicle. That is patently untrue. The current College bus from Glendale to DT is only 35 minutes now. It does NOT take 70-90 minutes to drive DT. 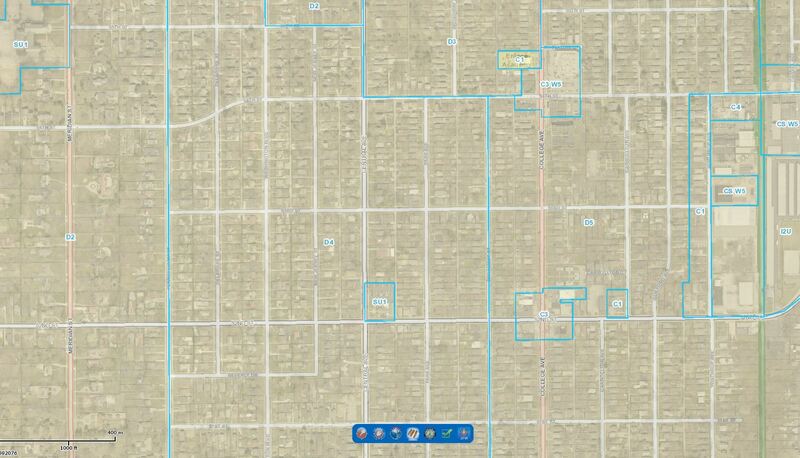 Can you walk from Glendale to DT in 35 minutes, or run it? The Red Line will only shave maybe 7 minutes off that if all routes go exactly as planned. Also, if IndyGo is so inefficient now, why are we giving them more responsibility? People keep saying the buses here are so bad; what is so great about buses in other cities? I travel a lot, both domestically and internationally about every three years. Our buses are not bad compared to most places. 7 minutes off of a 35-minute drive is considerable. The southern path for I-69 is only slated to shave off about 20 minutes for a 3-hour drive to Evansville, all while costing considerable more and enacting tremendous environmental damage. Yet INDOT still plowed through the countryside, overwhelmingly to accommodate the trucking industry. Look up “headway” in a transportation dictionary (http://www.rita.dot.gov/bts/dictionary/list.xml?letter=H) and see if you can still make that assertion about Indigo being “not bad”. There’s nothing more to say about that. Sounds like you should put your house on the market Natacha given the doom and gloom forecast you can’t see beyond and since Indiana and Indianapolis seemingly have no redeeming qualities as you have previously noted. Was there ever any consideration to just modernizing the current system with electric buses on a 10 minute schedule? Raised platforms (level boarding), prepaid fares, and dedicated lanes are all integral to making the Red Line be truly rapid (aka Bus Rapid Transit). If it is stuck in the same traffic as everyone else, waiting for people to pay, and waiting for people to ingress egress on the steps, it will never compete with a private car (drive time plus parking time). Are you talking about the old electric bus Indianapolis had from Dec 1932 to March 1957? Personally cannot wait for the Red Line. When I look around downtown at all of the hideous parking garages occupying parcels once graced by beautiful buildings I cringe, especially considering I’m helping to support one of them by driving my car to work every day. I’ve tried taking the 17, even suspended my parking for a month and bought a month-long IndyGo pass to fully commit to giving it a shot. Trips only every 30 minutes, stops potentially at every block leading to transit times more than double what it takes to drive, not to mention constant delays as the buses back up doing the loop around downtown, all combined to make it an impossible choice when driving is an option. Finally with the Red Line I’ll be able to leave my car in the garage when I go to work in the morning. As an aside, all of the angst about the Red Line as an ongoing concern I find absolutely hilarious. Why is that same litmus test not applied to road projects? The state DOT is forking over $100 million for the SR 37 project and it’s not likely to add a single penny of incremental revenue to Fishers’ or Noblesville’s coffers. That strip is mostly/completely built out already, but there will be no tolls for ongoing maintenance and no incremental development to increase property tax revenues. No new revenue stream to pay for this massive financial obligation (future maintenance). At least the Red Line is likely to increase nearby property values and lend support for more intense land use along the north/south corridors it serves, both of which will bring property tax revenue to a city that desperately needs it. Because it is a state thing and if you think INDOT would do anything but build and widen roads, you must be crazy! “more intense land use” requires tearing down existing houses and businesses and replacing them with cheap new ones. This not only will not increase property values, it will destroy Meridian Kessler as we know it. This is a family-oriented older neighborhood with quality-built homes that is walkable and has little shops and restaurants. We don’t want tall, cheaply-built apartment buildings. IndyGo plans do include tearing down existing buildings. Check out their TOD Library Board for 54th & College–it shows the existing businesses on the west side of the street gone, and replaced by an apartment building with little retail shops below. They also have plans for big buildings at 86th & 96th and College. Who asked anyone living in this area whether we want this? The meeting boards ( http://www.indygo.net/wp-content/uploads/2015/08/Meeting-Posters.pdf ) on page 9 say that 54th and College will be type “walkable neighborhood). That includes structures 2-3 stories tall, neighborhood retail, single family, and limited off-street parking. Everything at that node fits those criteria and I’ve not seen any indication or plans to tear down Moe & Johnny’s, Sam’s Gyros, or Twenty Tap. Perhaps you are thinking of 46th or 49th or Kessler instead where there are abandoned services stations, empty lots, or vacant buildings? No, I’m talking about the TOD Library Boards. Maybe IndyGo took these down, but I have them in pdf format. Sam’s Gyros, etc are in a one-story building. IndyGo’s illustration shows a multiple story apartment building with small shops below, but this all begs the question: did anyone ask those of us living here whether we want to see these businesses gone, and what gives IndyGo the right to make such plans without our input? Um, if IndyGo owns the buildings that house Fat Dan’, Sam’s Gyros, etc and wants to tear them down and gets the appropriate permits and whatnot to do so, I suppose they can. Since it is owned by 54th and College Partners LLC, I would assume IndyGo would have a tough time tearing it down. More than likely, the pictures in your PDF are just stock renderings of what it could look like. Feel free to post a link to the PDF you are talking about. I have it as a pdf, but not sure how to attach it. However, if you have IndyGo’s TOD Typologies illustration, you’ll see that it is a “goal” to convert 54& College to multi-story apartments. Is it in this slide deck? I’m actually going to help Natacha out. Here is the pdf. which I’ve talked about on here before. Page 88 is the section about 54th and College. These are merely conceptual renderings that show the situation that would be optimal for supporting a transit-oriented development. This doesn’t mean new corner apartment buildings will happen next year, or even 10-20 years from now. Indy needs to recover property taxes from new residents to be able to continue functioning as a city. We are hemmed in by state-mandated property tax caps, and increasingly by the fact that we are running out of places to sprawl out towards. The most space-efficient way to attract new residents is to increase density along transit lines. That this type of development also will cut our reliance on fossil fuels, and our need for providing off street spaces for vehicles (which is expensive and unattractive) is a nice bonus. That little doodle is the same on all stations that are of typology “walkable neighborhood.” It is not an actual anything other than an example of how the corner might be laid out. Dang it, meant bottom left. Natasha: a sense of community is pretty basic: do you always have to respond as if you are part of the ILLUMUNATI? These are just ideas and possible projections of what may or may not happen years down the road. I live on College and I want it. So do the neighbors I’ve spoken to. Don’t act like you are the voice of the community. A. There are vacant parcels on College ready for development that wouldn’t require demolition of any existing strctures. 46th/College, 49th & College, 52-54 on Winthrop, the AT&T site that will be repurposed in some way whether anyone like it or not, even the parking lot next to the police station at 42nd. I hate modern block-type architecture and cheap modern exterior materials more than anyone else I know, but I’m not opposed to mixed-use development or in-scale apartments. There’s a desperate need in the neighborhood for updated rental units and those vacant parcels provide a better opportunity than other other to start providing those. B. Increasing the intensity of land use doesn’t have to be done only via tearing down old structures and replacing them with mega-buildings. Granny flats, adding a second floor, garden apartments, they are all ways to increase the number of residents in a neighborhood, increase property values, and help support the diverse economy most residents of MK want to see. Mixed use is just part of the urbanism fad. Ask yourself: if people really loved to live in apartment buildings, crammed together with other people, then why wasn’t the entire United States developed to look like Brooklyn or the Bronx? It’s because people are not happy living in apartments long-term. People want privacy and yards for their kids and pets to play in and for gardening, with schools and grocery stores they can walk to. That is the model of Meridian-Kessler, not tall apartments with no set-backs. In any event, shouldn’t the public decide to change this established land use model, rather than transportation planners? MK residents would welcome an attractive building that looks like it belongs in our neighborhood, especially if they were condos. Examples include the Monon Place apartments just down the street on Kessler, the Golden Strand just behind Love Haus, the Elizabeth Apartments at 53rd and Central, the closest examples. There are mixed use buildings already within Meridian Kessler. The people who run the Print Text periodicals shop live in the apartments above it. This is not a fad or a new concept. “He-Who-Shall-Not-Be-Named” had a pretty nice design for a mixed use space between 49th & 50th on College – failed because of financing, not because the design was fiercely opposed. You don’t get to vote on every single thing with which you disagree. That would be a direct democracy and we don’t have one of those. Or maybe the property owners could have some input?? Naaa not when we have Natacha standing guard speaking for everyone. Where can I find the kind of deal you got on your house? Buy one plot, control the whole neighborhood. Natacha, you do not speak for me or other MK residents, so stop acting like you represent all of us!! They can get all that and more–particularly reliable public schools–in the most walkable parts of old Carmel. Since most of M-K is part of IPS, which has a very spotty track record, what is the competitive advantage of living in M-K versus Geist or Westfield? It is exactly those mixed-use structures–the same things that are springing up left in right in downtown Indy and the surrounding neighborhoods. Heck, even Carmel and Fishers and now Brownsburg are recognizing the mounting demand for mixed-use structures. If you hate urbanism so much, why did you move to Meridian-Kessler and not a cul-de-sac in Fishers? As you mentioned, it’s because you liked the walkable, mixed-use character. And now it seems like you want to raise the drawbridge when the private sector responds to high customer demand. Their plan is to destroy Meridian-Kessler and Broad Ripple. They just don’t like single-family houses and nuclear families. If you’ve ever seen a picture of the Lower East Side in 1905, that’s the time they’re nostalgic for. There doesn’t need to be a so-called “Red Line” anywhere. Not on College, not on Keystone, not in Indianapolis, not in Cincinnati or Louisville. We want people in cars, driving high-speed wide roads, the American way. Kastner, does Urban Indy serve everyone? Only a short time before MK boasts 500,000 people per square mile just like the good old days. I can’t wait. Hopefully Obama will be there for the blood moon sacrifice of an original residents first born child. If we’re talking transit and not urban aesthetics, the alignment of the initial route is irrelevant. If we’re talking urban aesthetics, it gets complicated real quickly. The Twin Cities (Metro) chose to align the central corridor LRT route along University Avenue (Keystone) instead of Grand or Summit (College). I used to work on University. It was everything Keystone is from Fall Creek to Broad Ripple, which is to say it wasn’t much at all. Today, University is vibrant. The factories and warehouses are mostly residential space. New retail has moved in. What was a wasteland is now a vibrant mixed use corridor. Most of the investment, as I understand it, was organic. It didn’t require excessive TIF investment on the part of taxpayers. It is a major win for the Twin Cities. I don’t know that this was intended or envisioned, but it’s how it worked out. Summit and Grand are still beautiful, vibrant boulevards but now University is too. I’m really turned off by the tunnel vision that some folks here have. Calling people who have remained committed to a neighborhood against all odds NIMBYs because they don’t see it your way is mean spirited and short sighted. Personally, I think either alignment is a win. It’s not the issue. The real issue is whether giving IndyGo new buses will make any difference. They’ve failed to sell their vision and engage a large swath of the metro. While it might feel good to blame others for this, it’s on them. They have to sell it and they’ve done precious little in this regard. Until they do, most of the metro will be transit resistant and that’s a shame because things really do need to change. I think you are misrepresenting University Ave a little bit here. Just a quick Google check and you will find that University Ave was an old interurban route – unlike Keystone and similar to College Ave. Looking at Google maps it is clear that University Ave shares similar development patterns to Keystone on part of it’s route. The issue is that on other parts of it’s route it has a built form and residential density FAR Superior to Keystone Ave. Grand Ave seems to be a similar enough to College and I am sure would have been a fine selection. University also seems to provide a very direct route for the St Paul – U of Minn – Downtown Minn, Keystone is very much out of the way of the Broad Ripple – Downtown Route. seems to me that IndyGo, CIRTA, IndyConnect have had so many visions and plans (and public meetings on these different plans) the past few years that it’s hard for the public to keep up with them. Looks like there will be public hearings starting this weekend on the new, new, new plan. 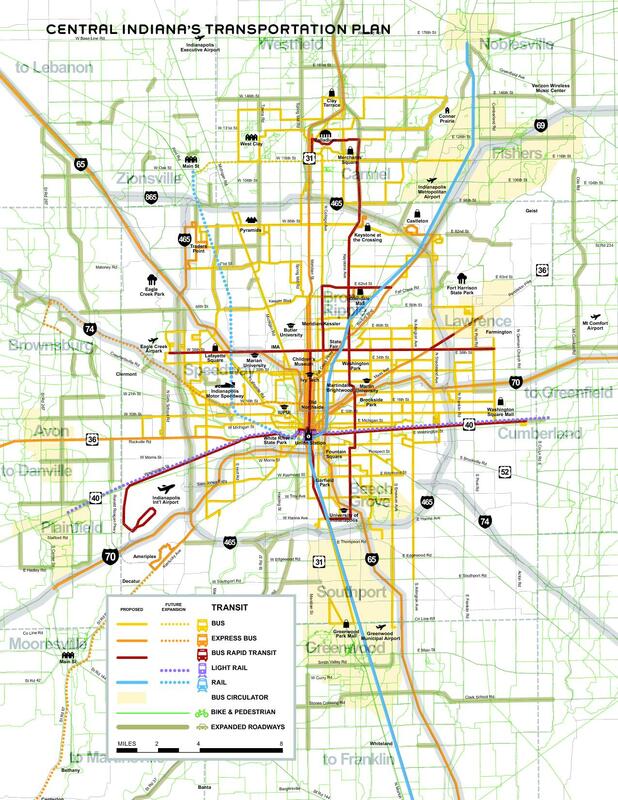 One example, the Indy Conncet map that I’m looking at from about 5 years ago (with extensive public hearings) has the Redline BRT on Keystone from U of Indianapolis to Carmel. The other interesting thing is that this has become a very polarizing issue in Indy, where your either with the current plan (that was recently changed) or your against public transit completely. There are a lot of shades of gray in this debate and I think the supporters of transit in Indy can’t see that just because someone (or a group) has a problem with a route or, another “small” issue, it doesn’t mean that they are against transit completely. What I see there is substantially the same routing plan that we’re seeing now, just that the LRT/BRT lines had not yet been color-coded. The BRT line you see on Keystone from Carmel to UIndy subsequently became coded as the Orange Line, a low priority line which was initially projected to be the last of 5 lines to be built. It has since been removed from the Indy Connect plan because there would be so little demand for mass transit on Keystone. Your misrepresentation of University Avenue in Minneapolis doesn’t do anyone reading these posts any favors. Being from the Twin Cities, I wouldn’t quite call it q misrepresentation of University Avenue. Although it had some urban bones to it, it had pretty much become the proverbial car sewer. I haven’t been back enough to see how much it’s transformed since the LRT line opened, and I don’t oppose BRT on College here, but I think there’s a lesson to be learned that we should already be thinking about how to improve Keystone Ave, instead of writing it off / waiting another 20 years to start implementing better policy that would prevent more anti-urban development like the new Meijer design. Amen, Paul! Why are we still allowing big box stores with parking lots that front the street in an urban area? Suburban design has no place on Keystone in Indy. I’m not going to agree or disagree with your statements, but I certainly find them interesting. That being said, I think opposition to BRT on Keystone would be of a similar level but instead of being from home owners, it would be from single occupancy vehicle commuters. Homeowners are local and have a stake (although the concerns tend to be overwrought) but auto commuters could be easier to dismiss since they would be from outlying areas with no actual tie to Keystone other than they drive on it. But it also brings up another semi-related point: it would be really great if the city would start actively reducing the amount of pavement on the ground that they have to maintain. If one lane was removed from any street in Indy that had more than 4 lanes, I have to imagine that would reduce the budget needed to maintain pavement by at least 10%. That is a noticeable amount. Probably enough to pay for hundreds of miles of sidewalks. Seems like an ‘Apples to Oranges” comparison? Well, I would tell the truth, however, truth is censored here. A huge segment of the opposition to the RedLine has been generated by opposition to a proposed apartment complex near College and Kessler – the argument being that were there no RedLine, the proposals for that site would forever disappear. That’s of course illogical, since a 3 acre commercially zones site in that location is going to have something built there. Kevin had a nice thread on here critiquing the original proposed design. Folks who were others in favor of improved transit posted legitimate concerns which were reflected in MKNA’s original Land Use decision to oppose the plans, and, which the developer has heard in similar form from DMD. There’s been no subsequent thread because what’s proposed there is a moving target and seemingly remains in flux even today. If and when a new proposal is finalized, it will again be reviewed by MKNA Land Use, and of course, it will be criticized – that’s just the way development proposals work. The widely attended “Envision” sessions regarding development in Broad Ripple and along College Ave (which eventually resulted in the Broad Ripple “Plan” and the MK “Plan” largely preferred mixed use developments in the commercial areas of both – essentially retail on the bottom, residential on top. Height was discussed as relative to the fronting street, which, along College would have been something around 40′ (or roughly the size of the ATT structures there now) It’s worth noting that neighborhood ‘plans’ simply aren’t rules, they’re closer to snapshots of the existing thoughts at the time the plans were prepared. “Density” isn’t defined in the plans either. It is defined in other City planning documents, but apparently never as an absolute number, but more as a starting point – DMD staff are better sources to explain this and are probably a better starting point for questions. That’s equally true as to the effect a given neighborhood plan might have on any given DMD decision. Since the genesis of both the BR and MK Plans began, and ended, before the latest transit plans, the only fair characterization of the relationship between the plans and transit was that everyone involved assumed some sort of mass transit improvements were being discussed, and, that College Ave. was, is, and will always be a transit corridor, though what form that might take has changed, and was likely to continue to change in the future. Here’s a simple idea: why not spend transportation money on improving public transportation for those who actually depend on it? That would not be College Avenue north of 38th Street or Hamilton County People living south of 38th who take the College bus are the majority of current riders. They will be disenfranchised. Another idea: why not put the north-south rapid bus line where there actually are jobs, shopping, health care and other destinations, which is Keystone Avenue, the original route. The objections to Red Line are independent of the proposed huge, unattractive apartment building at College & Kessler. These include a median down College, no cross traffic or left turns except at signaled intersections, 256 buses per day and the loss of one full lane of traffic on College that will inevitably result in massive increases in traffic on adjacent north-south streets, especially Central Avenue, home to 4 schools that have walkers. Central would also have one north and south lane, just like College, only no turn and cross traffic restrictions, no parking restrictions and no 256 buses per day. Most drivers would prefer Central, given these facts. Then there’s the tax increase and diversion of TIF money for unintended uses. Indianapolis has many needs far greater than a Palladium to Stadium rapid bus line. Natacha the problem with al of your arguments is that you are never actually responded to people’s criticisms of them and you seem to talk right past everyone. You have lots of critiques and some of them are good points that need to be considered, others flat wrong, some weird, and others just baffling. You continue to say that Keystone was the “original choice”. This has been proven not true. They started out with several options, as you would do, and then selected the strongest one. The Keystone route did become a future “Orange Line” but that has even since been dropped. Your 256 buses as a bad thing is probably your most bizarre critique. What is your point? There are already about 72 buses a day, while obviously less there will actually be LESS vehicles that travel on College everyday, not more. Moreover these buses will be cleaner because they will be all electric. Your insistence that an Indygo template to give an overview of “transit oriented development” that is copy and pasted for every similar intersection somehow signals that “someone” (no one knows who) is going to knock down thriving businesses and replace them. This makes no logistical, economic, or common sense and is plain rubbish. You also trot out your insistence that Keystone Ave Corridor has a denser population than College, this has been proven wrong yet you still use it. Your arguments come off like talking points. I do think you came up with them on your own but you cannot move beyond them. I would love to engage you on some of these points (as I keep commenting) but I feel like your style is leading to nothing but talking past each other. No, Paul, facts show that Keystone was the first choice. There are many documents proving this, including minutes of the MKNA Land Use Committee for February, 2012 where IndyGo made a presentation about alternative routes for a BRT. One such document is linked above. 256 buses per day is a lot more than 72. Everyone who drives knows what buses do to traffic. You are assuming there will be fewer cars, because of what? Everyone is going to rush to ride the Red Line? There simply is no strong demand for bus transportation in this area other than at rush hour. Running more buses will not change this fact. Not everyone works Downtown, and many people have jobs that require them to meet clients all over the place. You are making assumptions not based on fact. Tearing down the one-story commercial businesses is part of the TOD plan, to replace them with “mixed use” buildings, part of the urbanism fad that is already on the wane. IndyGo has an actual illustration for 54th & College showing the 1-story commercial buildings on the north west corner gone, replaced by a multi-story apartment building with little shows below. Not my idea, theirs. They list this as a “goal”, again not my word theirs. Population density is not the only, or even main, consideration for a BRT. Hundreds, if not thousands of people work at the big box stores, malls and high rise office buildings along Keystone. There are numerous places to shop and work, as well as health care clinics. Connecting people to jobs, shopping and health care are among the goals of a BRT. Keystone is simply where these things are found, not on College Avenue. Those are facts. BTW: those of us opposed to Red Line know the agenda is to portray us as crazy, our ideas as untrue, bizarre, etc.. It won’t work. This is because there is no logic to putting a BRT on College Avenue and when someone cites facts establishing this that you cannot refute with logic, you resort to grade school level attacks. found response interesting to Natacha – actually the city may lose. a bad idea may doom regional transit here in Indy. Not sure public will give second chance if this route doesn’t have lots of riders and alleviate the congestion on the north side of Indy/Hamilton County. I can’t say whether this route will have lots of riders, it may not, but it can’t possibly alleviate much traffic congestion. Yep. No logic Natacha. Hence why the federal government approved $75 million and major business leaders throughout the city are advocating for it with public officials. Don’t think the Fed Gov has approved $75 million. It’s in the Pres’ Budget that Congress doesn’t like. Public officials and business leaders will like any plan that makes them look good (for now) and they don’t have to pay for. At first glance, an increase in buses from 72 to 256 does seem large. However, College Ave carries approximately 15,000 cars per day. That is a 1.2% increase in overall traffic aka (256-72)/15,000. If 184 single occupancy drivers decide to take the Red Line, we already come out even. All of us need to do everything we can to destroy this dumbest bus route, ever. Yesterday in an effort to travel east to west on 62nd St from Keystone, I give up and tried Kessler. I gave up there as well and went south to 54th St.
Last night at 8 pm college was jammed from Broad Ripple to 49th. Had dinner at Aristocrat and enjoyed the entertainment. Left at 10. At 10 there was little traffic on College and parking places abounded. Our city leaders have truly messed up traffic for the sake of pedestrians and bicycles. I saw none of either on Kessler and a few on 62nd St. Please do not put busses on College. They will be underutilized!!! The truth is that they don’t really care about bicycles and pedestrians – they just want to hurt cars, driving, and autonomy. You are very right in that they’ve destroyed 62nd Street. I avoid any business on that street. So if I understand your post correctly, you experience roadway congestion on multiple streets at peak [I’ll say “recreation”] hours on a weekend, consider this an effect of investing in marginal pedestrian/bicycle infrastructure improvements along the corridors you reference, note how empty College Ave. is after 10pm on a Saturday, and conclude that creating a rapid transit line in the proposed manner (College Ave. Red Line BRT) would not be utilized? It seems that the opposition simply opposes the Red Line as a matter of principle. Part of the reason Indy is so car-centric and auto-dependent is because there are no comparable alternatives for transportation. Decades of auto-oriented planning and infrastructure development have created a status quo that appears to be impervious to change. It is not sustainable (economically, environmentally) to continue on such a path of development focused on car access. It is exclusive and marginalizing to reject alternative transportation options. It is short-sighted and naïve to think that Indy will remain (or become) economically, socially, and culturally important and relevant in the future if we continue to disregard the quality of life preferences of those people who will base much of their location decision on the available services and amenities in a given area. As shocking as it might sound, not everybody dreams of a mortgage and car payments upon starting a life and career in a new or even a familiar place. Calling it trendy, calling it a marketing pipe dream, calling it an unsubstantiated boon does nothing to push Indy forward out of mediocrity. I disagree with the idea that a select few members of a small stretch of one street in a portion of one neighborhood in the city should have the most influence on the decision making process regarding the improvement of the public transit system simply on the grounds of property ownership. You own your house and the lot it sits on. You do not own College Ave. and its street parking. You do not speak for everyone who will benefit from improved public transit. You probably drive everywhere, so what makes you think BRT will affect you negatively? Less cars on the road means more room for you right? You don’t own the abandoned AT&T property, so why do you think you have the power to dictate absolutely what is built there? Cooperation and negotiation between residents and developers is by all means appropriate, necessary, and cordial, but if you want all the say in the land-use succession of MK, why don’t you buy the property? Opposing the Red Line in its current state of proposition is rejecting progress and growth in Indianapolis. Move it to Keystone and we will see no rise in ridership and no change is the built environment because there would be no actual change in transportation planning practices. The Red Line BRT and transit-oriented development will thrive symbiotically. The fact that clusters of economic activity in the form of commercial/retail developments already exists in between stretches of residential developments along College lends itself to the potential health and sustainability of the system. Keystone has this too, one might note, but a sea of parking lots with big box stores and set back strip centers adjacent to a wide and fast roadway does not have the same affect on travel behavior. If transit is not accessible for pedestrians and all potential riders because the built environment is not conducive to “catching the bus,” then people just won’t catch the bus. We see this with IndyGo’s current service (e.g., drainage ditches on the side of roads with fast moving traffic and no pedestrian infrastructure that double as bus stops). Having a high potential ridership pool thanks to denser residential development and nodes with attractive services and amenities along the route in an accessible, walkable built environment will lead to higher ridership and successful implementation. With increased ridership comes more social interaction. With more social interaction comes a higher quality of life (at least for me). Higher quality of life brings more value to your neighborhood, which then affirms your investment in a home in the area all those years ago. To those afraid that the Red Line will act as a steady criminal pipeline into MK, I suggest rethinking so. With the increased vibrancy of the neighborhood thanks to the Red Line, more people will want to come see what MK has to offer. They’ll come to shop and eat and enjoy the social interaction, and most importantly add to the eyes on the street (yes, I too have been indoctrinated by Jane Jacobs). More eyes on the street dis-incentivizes criminal activity (what kind of criminal wants to get seen and caught in the act?) and increases the likelihood that when something does happen, justice will be easier to serve. The Red Line is not a cure-all. Indy Connect is not a cure-all. What it is is a catalyst for progress and future transportation improvements. It is sad to see so much influential opposition to something that has been a long time coming. As our city has grown, we have neglected many things that lead to the overall health of an area (schools, crime, etc. etc.). While we are on the topic of improved public transit, why not capitalize and get something done? I don’t want to live in a place that thumps its chest at being exclusive, selective, indecisive, and mediocre, and neither do my friends and peers. It seems as though Indianapolis has fostered a culture that fears change. The Red Line will not destroy your neighborhood. So well said, I have nothing to add to this. We fear that which is unknown to us – as humanity it makes sense that we do this. However, it does not justify it and the more we challenge ourselves to experience things outside of what we’re used to, we are better able to challenge our own thinking. For those who fear the Red Line, please go visit a great European city and try not renting a car. You will start to see why clean, timely and effective public transit allows those cities to look and function and be as excellent as they are. If everyone in those cities insisted that everyone has the right to drive and resisted public transit, those cities would be as run down and forgotten as so many parts of Indianapolis are. P.S. Don’t bother reading the comments section in that blog because it’s populated with trolls and will just make (most of) you mad.